A kitchen island is often at the very top of the remodel wish list. If you’ve spent even a little bit of time on Pinterest or Houzz browsing photos of kitchens for inspiration, you’ve no doubt heard the siren song of an open concept kitchen complete with a central island that has plenty of space for food prep, serving drinks, doing homework and more. But is a kitchen island right for everyone? Each home is different, and there are definitely pros and cons to this design choice. Make sure you understand both what you’ll gain and what you’ll give up before committing to this very popular feature. The main reason people love kitchen islands is that they let your kitchen be the center of the home — no need for cooks to be excluded from the fun at parties, since there’s plenty of room for guests to gather around the island and chat. It’s quite common for a kitchen island to serve as a low-profile divider between the kitchen and other public spaces of the house, such as the dining or living area. When you start getting rid of walls, an island serves as a handy marker between “rooms“ while still allowing you to enjoy an expansive space with plenty of natural light and room to breathe. If you love kitchen islands, you probably love open concept houses as well — the two go hand-in-hand. A nice, deep island provides a whole bank of cabinets where you can stash pots and pans, holiday serving platters, and plenty of other items you want to keep handy. The beauty of island design is that it consists entirely of base cabinets, which can hold larger items than half-depth overhead cabinets, so you really maximize your storage. Bonus points if you choose drawers instead of cabinet doors: Deep drawers are much easier to organize, and they allow you to see everything easily. A kitchen island allows you to create a work triangle that makes it easy to whip up meals without having to wander too far to grab food from the fridge or water from the sink. 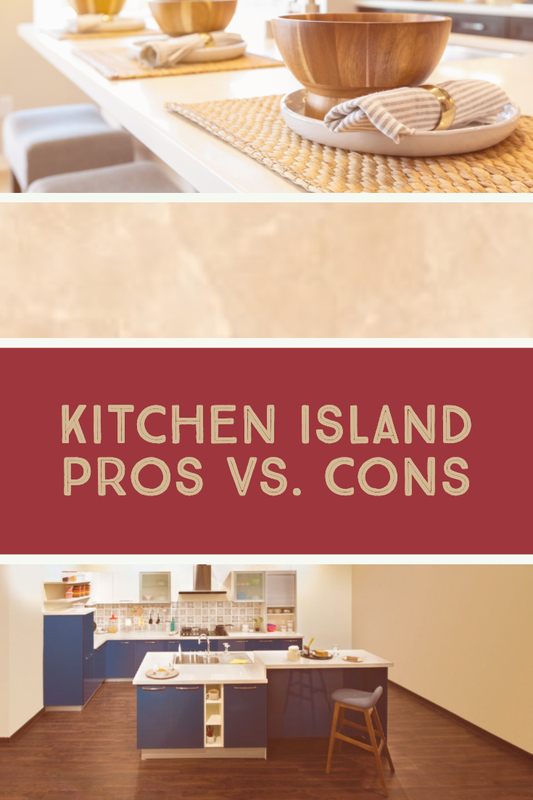 Ideally, you’ll be able to move from your island to another work area of your kitchen without crossing a lane of traffic that everyone else uses to come and go. 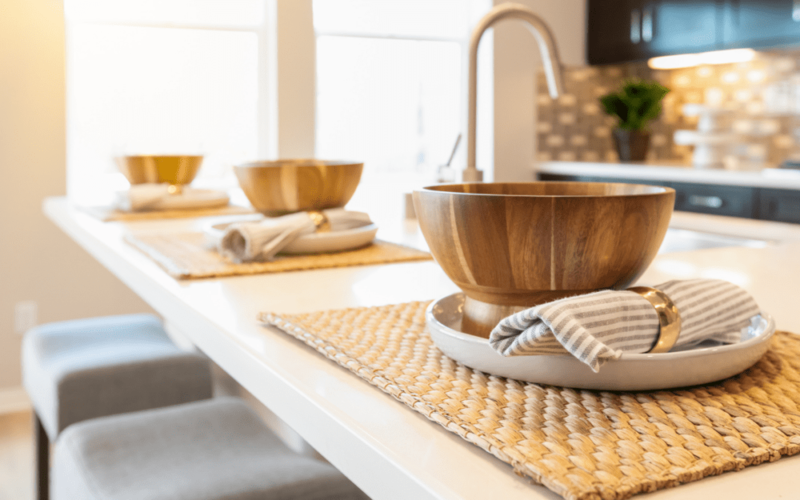 Many cooks love the idea of including a sink or range top on the island so they can carry out kitchen tasks without turning their backs on their guests. When you add an island, you have plenty of options when it comes to designing your work flow. At a minimum, most kitchen islands are three to four feet deep (picture two base cabinets placed back-to-back, plus a few extra inches of countertop overhang, and you get the idea). That eats up a lot of space quickly in small homes, especially when you consider that you’ll need two to three feet of clearance around the island for walking or pulling up bar stools. Many older homes — especially triple deckers — simply don’t have this kind of open space to play with. If you don’t, you might consider a peninsula instead of an island as a compromise. That large expanse of counter space is so enticing. Sure, you’re envisioning creating a sumptuous buffet spread or a vase of fresh flowers now, but the reality is that nature abhors a vacuum. Kitchen islands tend to become landing areas for everything that enters your house: the day’s mail, grocery bags, Fido’s leash, etc. If you have kids, go ahead and triple the amount of non-cooking items you can expect to find hanging out on the counter of your kitchen island. If you’re highly organized, no worries — but for the rest of us, think twice about how you’ll feel looking at piles of random junk on a daily basis. Many older homes are simply not designed to turn into an open concept showcase — at least not without serious expense and consultation with a structural engineer. But why try to shoehorn a big, modern island into a tiny kitchen when you can get creative? A Federal style home will look perfect with a large farmhouse table instead of a bank of cabinets and granite. Likewise, that mid-century modern ranch will lose its retro flair if you blow out all the walls, but will stay fab with a rolling bar cart instead of a traditional island. Let your home’s period and original style guide your decisions, and you’ll end up with a unique look instead of the same thing everyone else has. 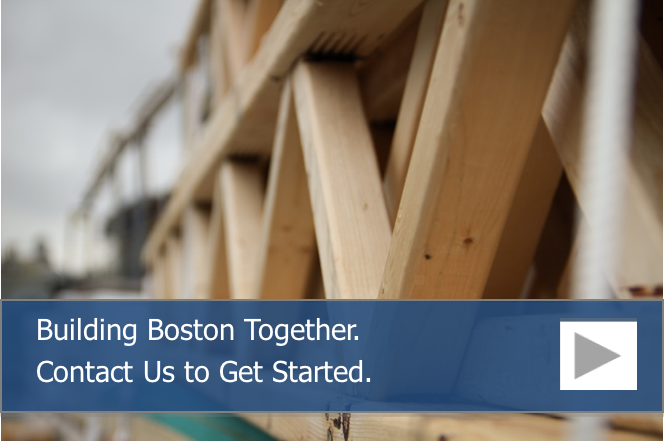 No matter what design you choose for your kitchen, New England Building Supply has everything you need to make your remodel live up to your dreams. Come by to talk to a pro and see how we can help you get the most out of every square inch of your new kitchen.